Zipline, abseil, jump, slide and more! Its extremely exciting and its far more interesting than i expect. Clip jump is the most exciting part and the instructors are very nice and talkative too. 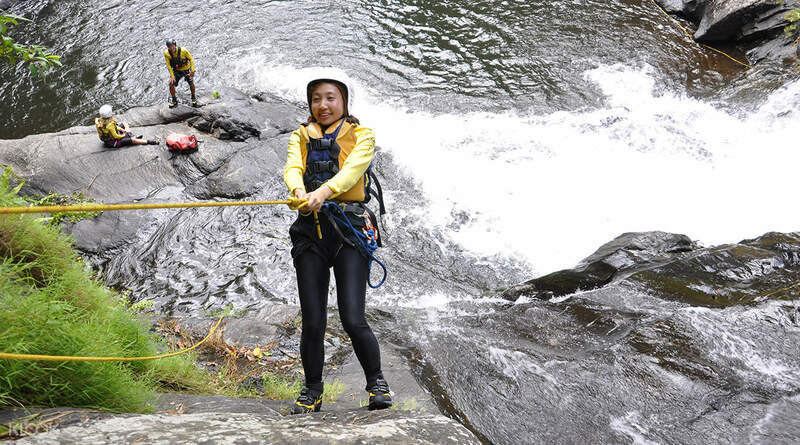 Go on a thrilling canyoning adventure in Cairns where you will challenge yourself with an abundance of fun obstacles: abseil, zip line, slide, jumping and more! 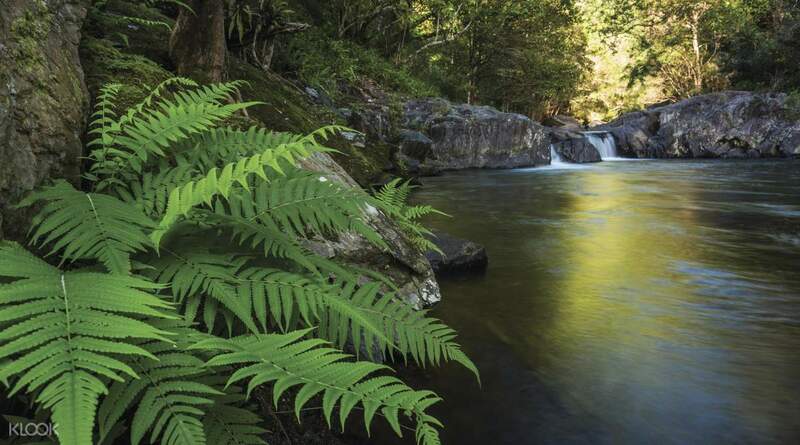 Start with an early morning hotel pick up and travel to Crystal Cascades, a stunning a cascade waterfall on the Freshwater Creek in the Far North region of Queensland. The trip includes 8 abseils, 3 jumps, 2 slides and an exhilarating zip line with a water landing! Conquer all the obstacles and be rewarded with a breathtaking view as you make your way back to the viewing platform. 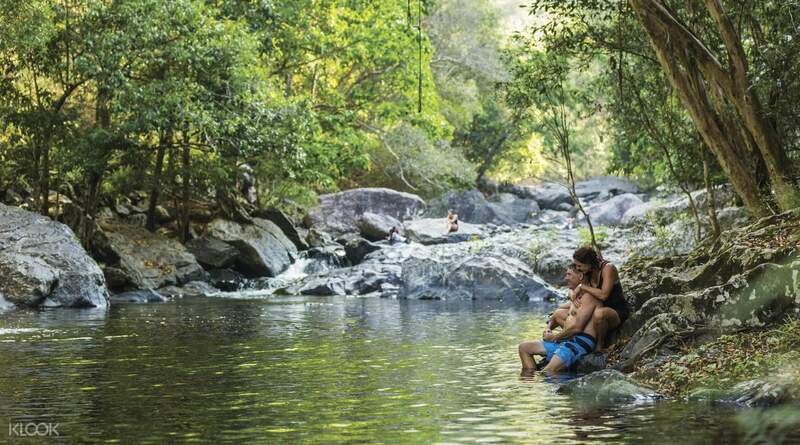 Change into dry clothing (make sure you have a change of clothes and a towel ready for this trip) and recharge over a delicious lunch before heading back to Cairns. Its extremely exciting and its far more interesting than i expect. Clip jump is the most exciting part and the instructors are very nice and talkative too. Its extremely exciting and its far more interesting than i expect. Clip jump is the most exciting part and the instructors are very nice and talkative too. Awesome trip with many firsts: cliff diving, abseiling etc . Extremely experienced team who is also very patient and friendly. We had alot Of fun ! Can be a little physically challenging for people who usually do not exercise, but everyone should be able to complete the Canyoning experience and have fun at the same time. Recommended ! Awesome trip with many firsts: cliff diving, abseiling etc . Extremely experienced team who is also very patient and friendly. We had alot Of fun ! Can be a little physically challenging for people who usually do not exercise, but everyone should be able to complete the Canyoning experience and have fun at the same time. Recommended ! Awesome experience! Hard to tell which one is crazier, skydiving or canyoning, which I didn't expect at all. Guides are very funny (good at bullshitting also lol). They introduced those small creatures on the way to the spot. Be ready to hit on rocks but it's definitely fun. Awesome experience! Hard to tell which one is crazier, skydiving or canyoning, which I didn't expect at all. Guides are very funny (good at bullshitting also lol). They introduced those small creatures on the way to the spot. Be ready to hit on rocks but it's definitely fun.